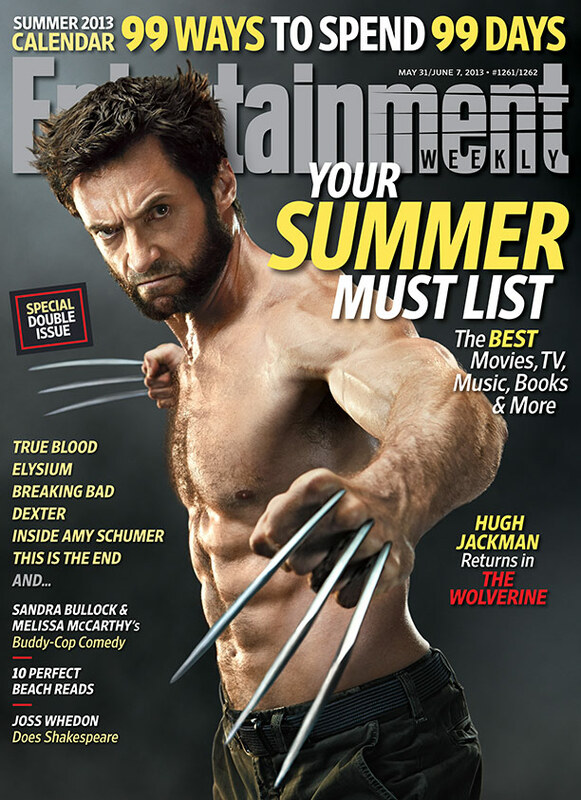 Hugh Jackman Shirtless covers EW! Does Hugh Jackman ever slow down? From what we can report, the answer is a definitive no way, mate. For the cover story of our annual Summer Must List issue, EW visited the actor last year on the Sydney set of The Wolverine (in theaters July 26), where Jackman jumped and leapt and charmed his way through a series of seemingly back-breaking stunts that he made look as easy as pie. That’s entertainment — and who embodies the power and pop of summer in the cinema better than Jackman?